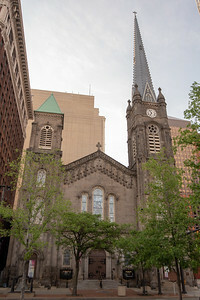 The Old Stone Church on the northwest corner of the Cleveland Public Square in its summer splendor. 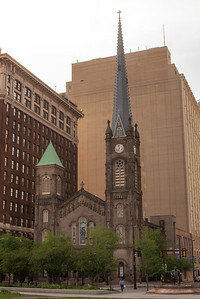 The Old Stone Church nestled in the northwest corner of the Cleveland Public Square. 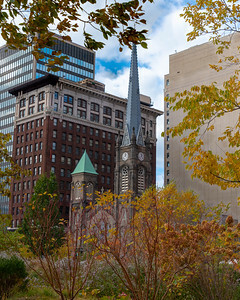 The Old Stone Church nestled in the northwest corner of Cleveland's Public Square amidst the squares fall foliage. 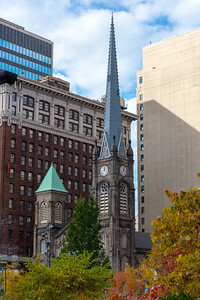 The spires of Cleveland's Old Stone Church, nestled in the northwest corner of Public Square in the foundation of fall foliage. 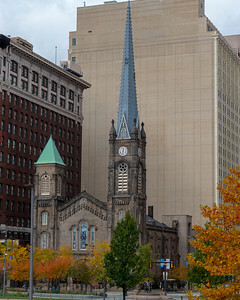 The Old Stone Church bracketed by fall foliage of Cleveland's Public Square, nestled with its surrounding buildings of the northwest corner. 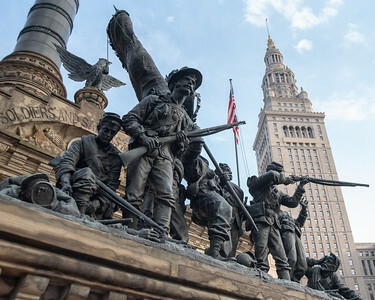 The sunset glowing on the facade of the Huntington building and the Soldiers & Sailor's Monument in Cleveland's Public Square southeast corner. 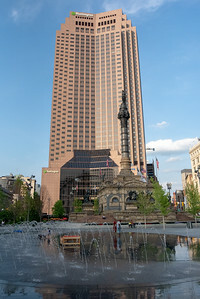 The Terminal Tower and Tower City Center on the southwest corner of the Public Square in Cleveland, Ohio. 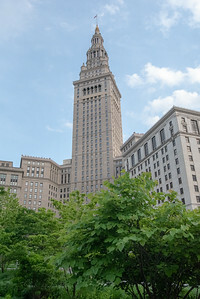 The Terminal Tower in summer lush, sitting on the southwest corner of Cleveland's Public Square. 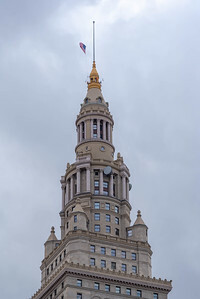 The Terminal Tower spire proudly flying the national standard on gray windy day on Public Square. 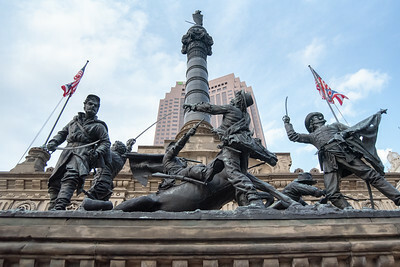 The Liberty statue of the Soldier's & Sailor's Monument in the foreground of the Terminal Tower, while showing their national pride. 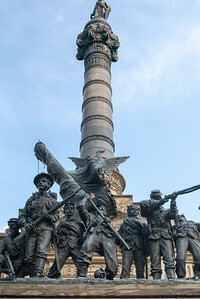 The Color Guard statue on the north side of the Soldier's & Sailor's Monument, overlooked by the Liberty statue atop the monument. 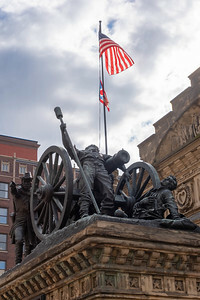 This monument sits o the southeast corner of Cleveland's Pubic Square. 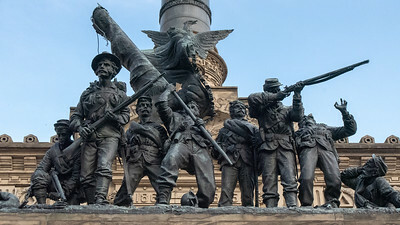 The Color Guard statue on the north side of the Soldier's and Sailor's Monument as viewed from the east side. 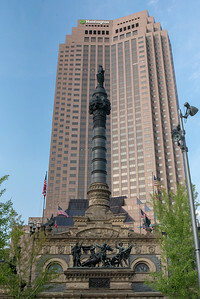 This monument sit upon the southeast side of Cleveland's Public Square. 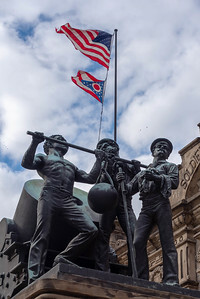 The Color Gard statue at the north side of the Soldier's & Sailor's Monument, on the southeast corner of Clevelands Public Square. 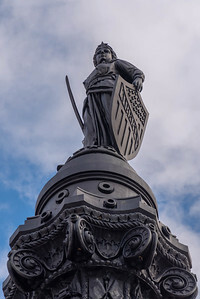 The Advance Guard statue on the east side of the Soldier's & Sailor's Monument on Cleveland's southeast corner Public Square. Old Stone Church spires rising in the background. 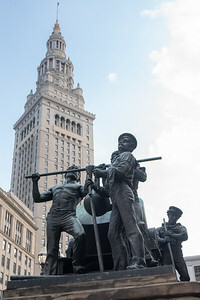 Solider's & Sailor' s Monument - Cleveland, OH; Public Square. Huntington Bank building in the background. At Short Range statue on the west side of the Soldier's & Sailor's Monument - Cleveland, OH; Public Square; May Company building in the background. 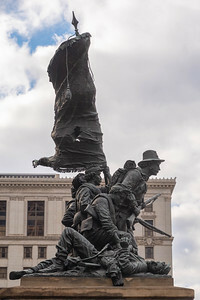 At Short Ranger statue on the west side of the Soldier's & Sailor's Monument - Cleveland, OH; Public Square. 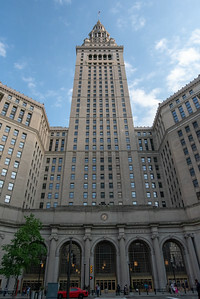 Terminal Tower in the background. 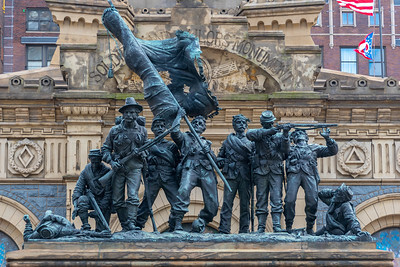 At Short Range statue on the west side of the Soldier's and Sailor's Monument on the southeast corner of Cleveland's Public Square. 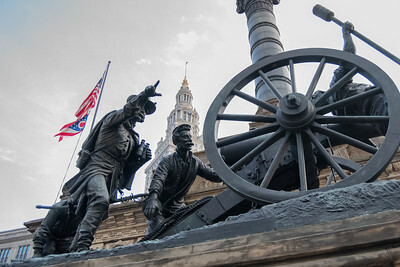 The At Short Range statue on the west side of the Soldier's & Sailor's Monument, on the southeast side of Clevelands Public Square. 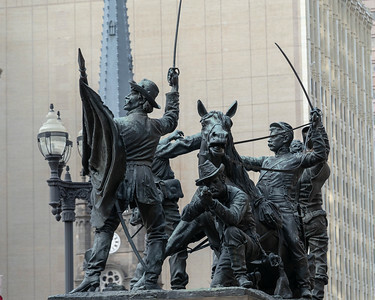 The At Short Range statue on the east side of the Soldier's & Sailor's Monument, located on the southeast corner of Cleveland's Public Square. 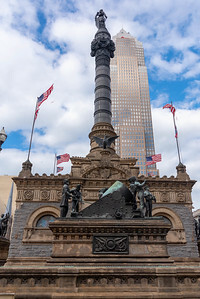 The south side of the Soldier's & Sailor's Monument on the southeast corner of Cleveland's Public Square, overlooked by the Key Tower. 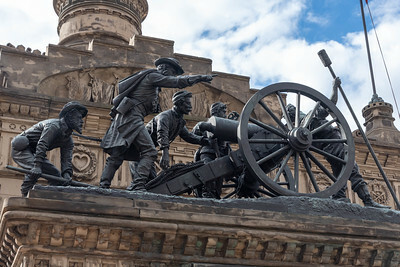 The "Mortar Practice" statue in the foreground. 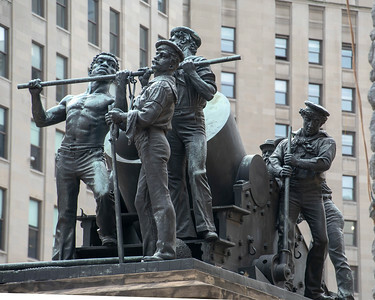 Mortar Practice statue on the south side of the Soldier's & Sailor's Monument - Cleveland, OH; Public Square. 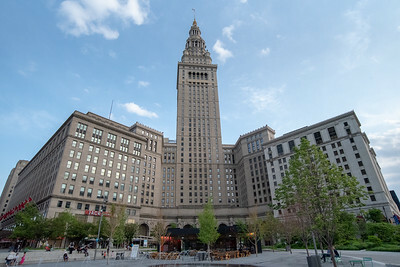 Terminal Tower in the background. 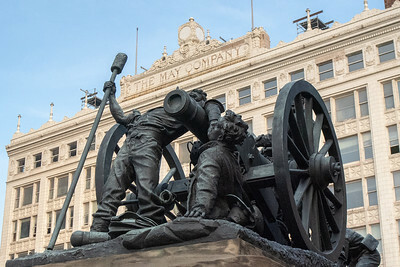 Mortar Practice statue on the south side of Soldier's & Sailor's Monument, on the southeast corner of Cleveland's Public Square. 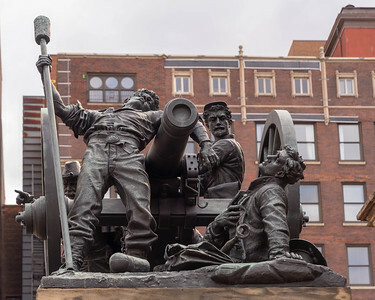 The Mortar practice statue on the south side of the Soldier's & Sailor's Monument, on the southeast corner of Cleveland's Public Square. 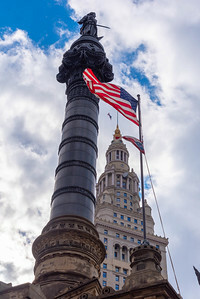 The Liberty statue standing above the Soldier's & Sailor's Monument on the southeast corner of Cleveland's Public Square.